Ballarat still has good views of the Night Sky. Overseas visitors from Germany, Japan, China, England and elsewhere, are amazed at the amount of stars they can see. As Ballarat grows, good planning is required to keep our night sky dark. By preserving our forests and green corridors, by addressing the growing electricity bill that Councils have and by being inventive in how this can be done with regard to reduced street lighting in environmentally friendly new developments and refurbishment of old suburbs, funds can be diverted into other areas for use by the community. 6.00pm Star-be-cue – Bring your own picnic or have something from the 3rd Rock Cafe. 7.00pm: Kinja- Ron Murray and Sarah James -The Kinja sound is an ethereal blend of Indigenous Australian and Celtic inspired moods. Sarah and Ron feel that Kinja’s music unites their heritage. “People tend to be touched by hearing two musical cultures coming together and it seems to move people on that level “. 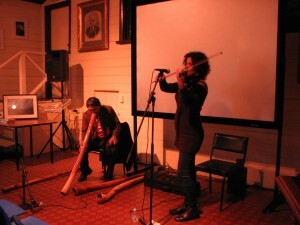 Their haunting partnership of violin and didgeridoo transcends cultural differences. The stunning back drop for the music is be provided by Alex Cherney, with time lapse photography of the Australian Landscape, Ocean Beaches, ASKAP Telescope and Parkes Radio Telescope, the night sky at it’s best. Alex Cherney is a keen astronomer and photographer at night, with a particular passion in wide-field astrophotography. Alex loves the challenge of time-lapse imaging of night sky because it shows the motion of celestial bodies in relation to the landscape and helps connect viewers with the night sky. Spending the night under the stars and then sharing it with the world is one of the biggest rewards for him. Alex Cherney travels throughout Australia to photograph the most beautiful landscapes under the stars of the Milky Way and loves to connect ocean, land and sky in his work. 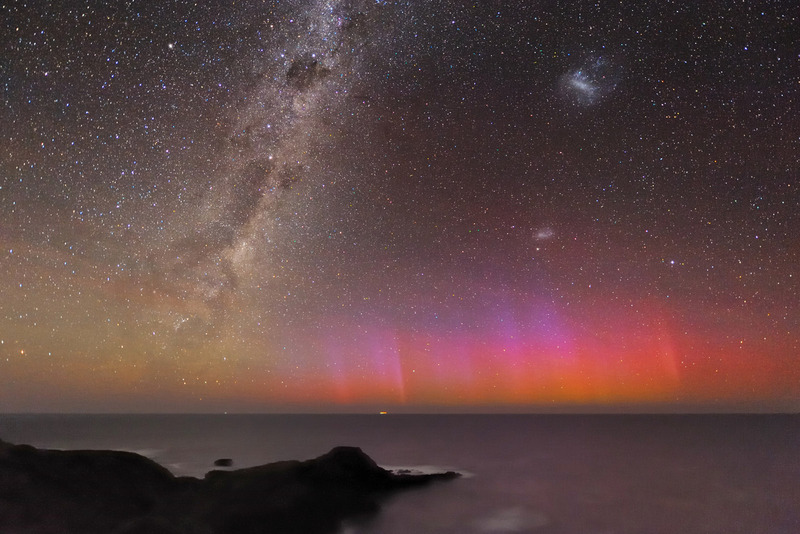 His images and videos have been published in well-known astronomy magazines and books, and won prestigious Australian and international awards. Alex is an active member of Mornington Peninsula Astronomical Society. He enjoys helping get people involved with astronomy at public and school viewing nights. 8.30pm: Join us at 8:30pm when the lights are switched off, to witness the beauty of the night sky.